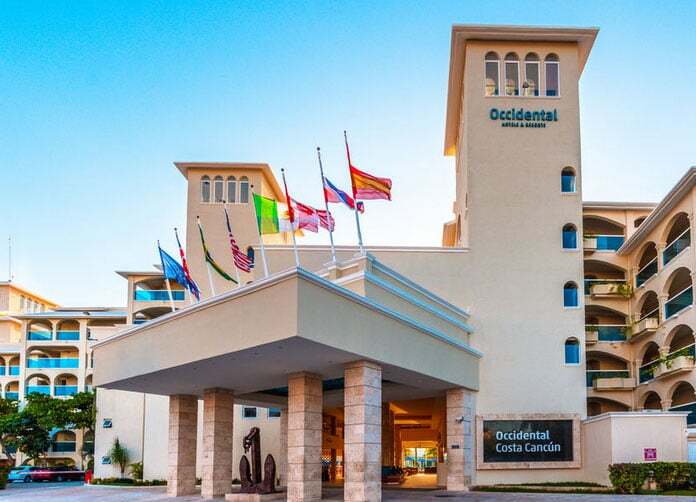 Previously known as Barcelo Costa Cancun the four star resort of Occidental Costa Cancun will seem like a paradise village as you initially step onto the white pavement matching disturbingly well to the beautiful white sandy beaches which lay for miles before its feet. Having a superior All Inclusive program and a very spacious pool, your search for the right resort may not have to go any further. With 8 room styles to pick from, the hardest part will be deciding which one has the best view. 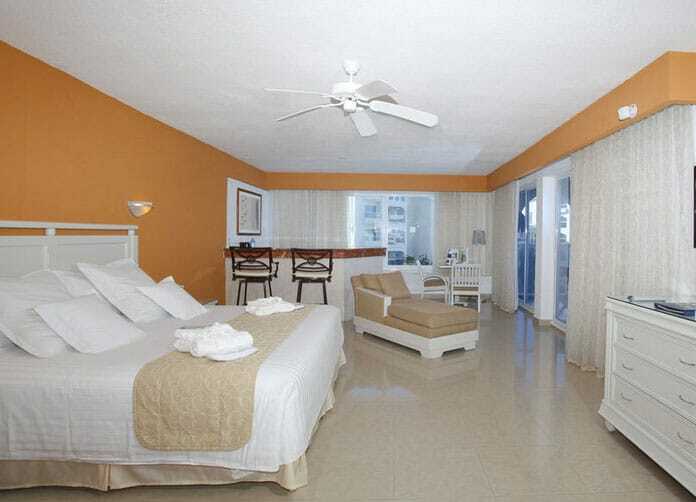 From Junior to Superior, each room has its own special warm touch and with the Caribbean sun beating beyond the curtained window you’ll soon find that not one thing needs to be changed. Each room comes with either a king sized bed or two double beds to ensure your stay will be perfect in every way. Pick from an ocean view or a pool view or the Superior Garden View room and you’ll fall in love with the Caribbean in a heartbeat. Once you’re settled in at the Occidental Costa Cancun, looking at the pool may soon become dull. 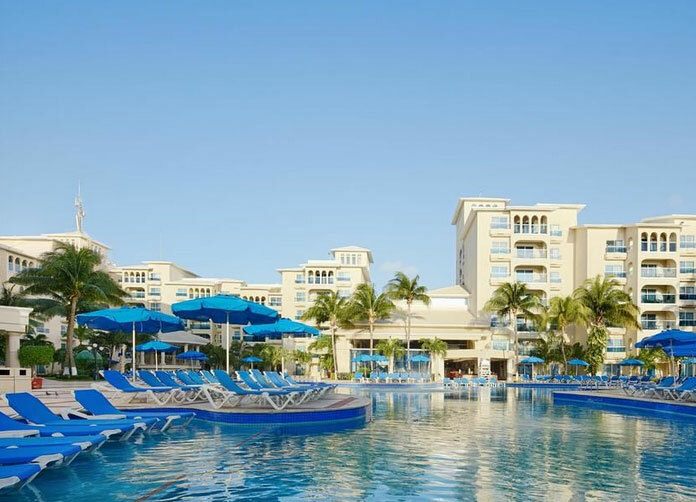 So get the swimming trunks on and enjoy the large Pool with a built in fountain in the center, and finely laid lawn chairs spaced sporadically about, with the Caribbean ocean to the back. 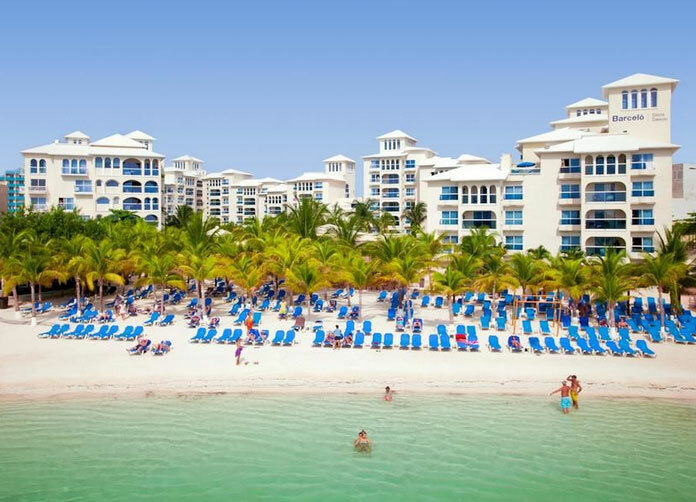 Speaking of the great Caribbean, take it to the max and enjoy all the water sports the Costa Cancun has to offer, including jet skis, kayaking, wind surfing and more. Occidental Costa Cancun will transform your magical day into a day full of unforgettable fantasy with their excellent wedding facilities; imagine this: the wind blowing an ever slight breeze through your tuxedo as torch-light surrounds you and your loved one to a fine dinner on the white sandy beach with the two of you in the palm of a heart, all this while the sun sets among the horizon of the deep blue Caribbean. 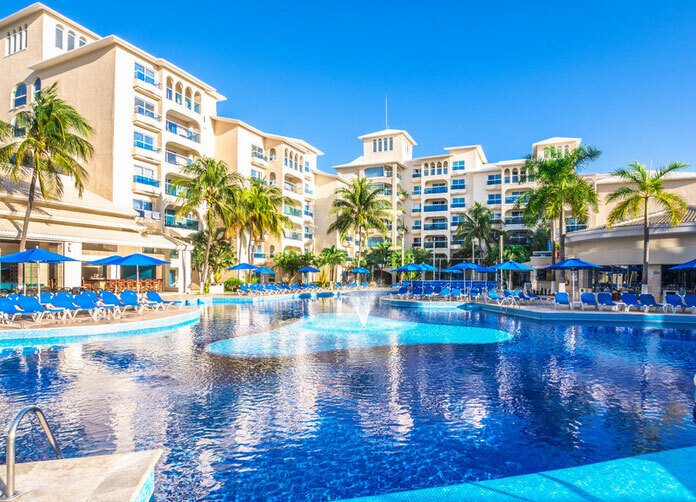 To take your vacation to the next level, indulge in the most intuitive All Inclusive package, including breakfast, lunch, and dinner a la carte or buffet style food including fine cuts of shrimp and snacks. Domestic and selected international drinks available as well, and activities and entertainment to keep you going. Also you’ll have full access to their upgraded and state-of-the-art fitness center. Included in all this you get pool and beach waiter service as well. Give the kids a break at the Oki’s Kids Club where the kids will have the time of their life, as you and yours are having the same. While the kids are having their fun, treat yourself to the Spa or Massage services provided, or take a jump in the large jacuzzi as you relax against the Caribbean ocean and sky. 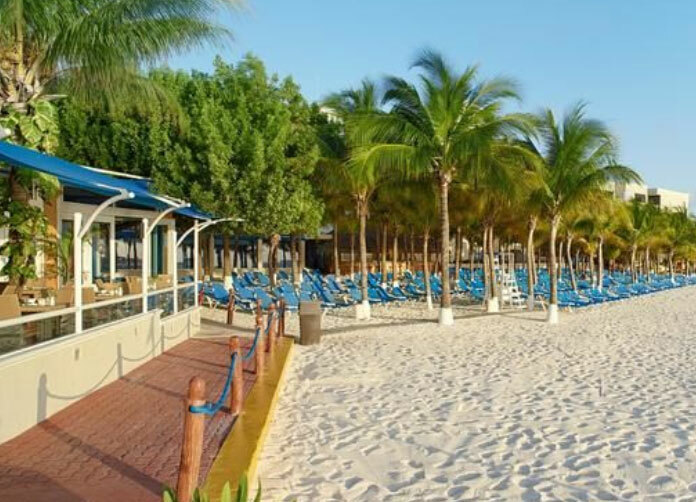 The 24-Hour All Inclusive Club at the Costa Cancun will provide an open bar and snacks all day and night – keep yourself entertained no matter what the hour with a ping pong table, pool table and a TV. 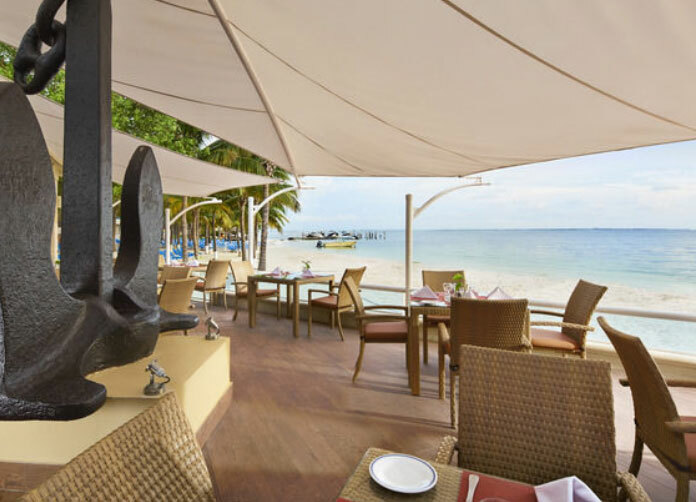 Albatros: Providing an excellent cuisine with a different buffet everyday for breakfast, lunch and dinner all while enjoying the breathtaking views of Cancun. Don Quijote: With a modern and intelligent setup, you’ll feel very comfortable as you mouw down the exquisite Spanish specialties this restaurant has to offer. Gaviotas: Glowing golden in the dusk, this restaurant will seem like a touch of heaven with amazing meals and a casual atmosphere. La Claraboya: Enjoy Italian specialties at this world class restaurant for fine dining! 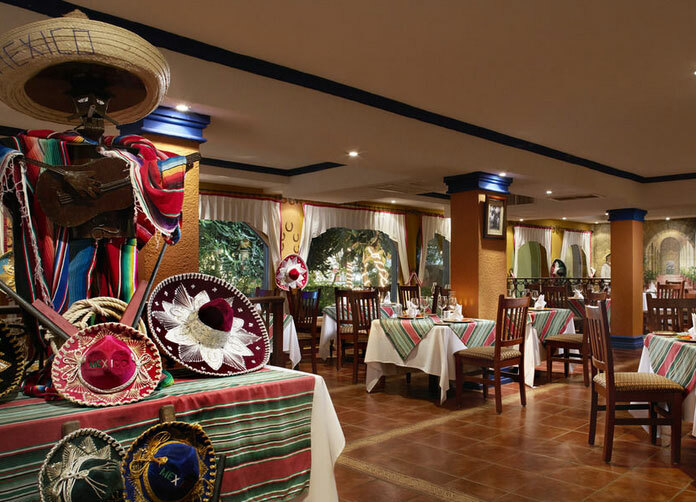 Maria’s: Indulge in great Mexican food and excellent service to treat you right. Address: BLVD. KUKULCAN KM 4.5 ZONA HOTELERA, Hotel Zone. Cancun, Quintana Roo. Airport Distance: 30 Km. (18.75 Mi. ).